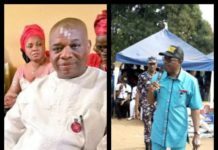 Ekiti State Deputy Governor, Professor Kolapo Olusola, has challenged the victory of Dr Kayode Fayemi in the Ekiti State governorship election. 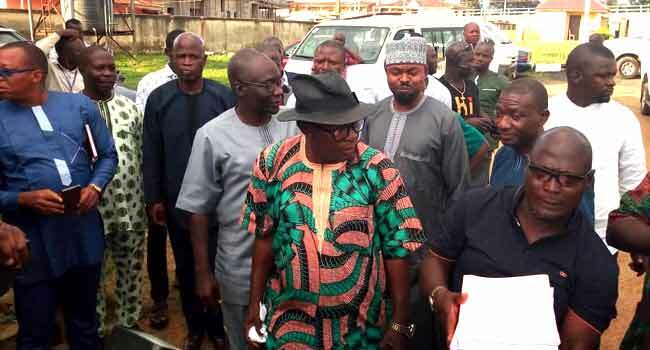 Olusola, the candidate of the Peoples Democratic Party (PDP) in the poll, filed a petition against the results of the Independent National Electoral Commission (INEC) at the Election Petition Tribunal in Ado Ekiti, the state capital. 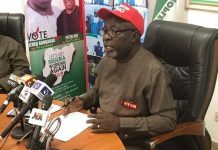 He alleged that the election was marred by intimidation and use of force, while there were discrepancies in results announced by the electoral umpire. 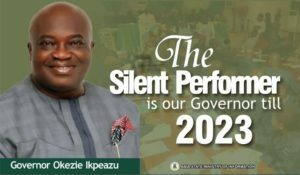 The deputy governor, among other claims, asked the tribunal to declare him the validly elected candidate in the election which held on July 14. 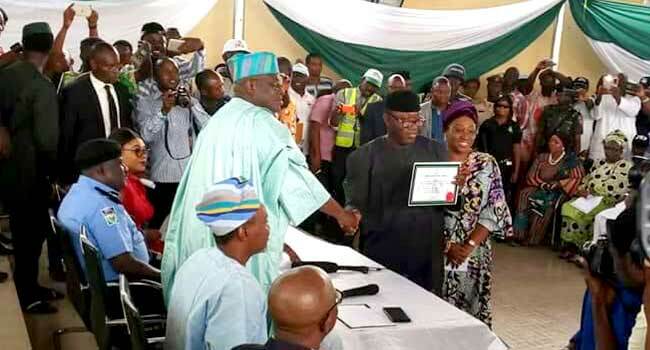 On July 15, INEC declared Fayemi who is the candidate of the All Progressives Congress (APC) as the winner of the governorship poll. 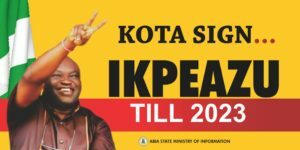 He polled 197,459 votes to beat Olusola who scored 178,121 votes, as well as the candidates of over 30 other political parties who contested the election. 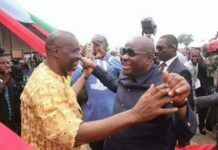 While the leadership of the APC and the PDP have disagreed over the election results, Governor Ayodele Fayose accused President Muhammadu Buhari of using the security agencies to win the poll for the APC. 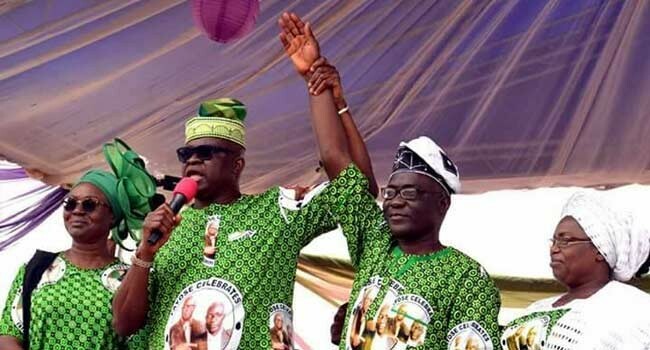 Fayose, who could no longer contest governorship election in the state, had wanted Olusola to succeed him. 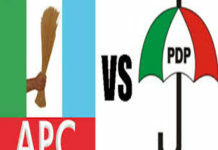 The PDP had consequently vowed to challenge the election result at the tribunal while INEC went ahead to issue a Certificate of Return to the Governor-elect. 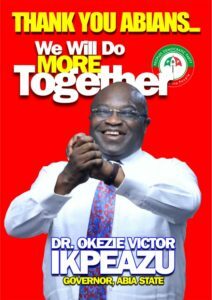 Dr Fayemi was the governor of Ekiti between 2010 and 2014 before he was denied a second term by the incumbent governor, Fayose. 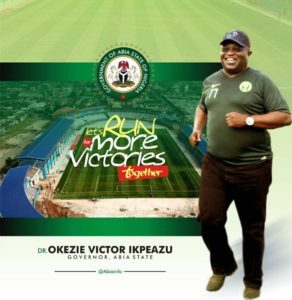 He had later joined President Muhammadu Buhari’s cabinet as the Minister of Solid Minerals Development in 2015, until he resigned in May 2018 to contest the governorship poll again. 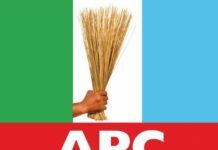 During a courtesy visit to President Buhari after his victory, the governor-elect said his administration would examine the receipt and expenditure of Ekiti State. 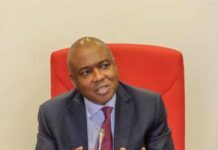 He had also said they would determine why workers in the state were not paid salaries.